Why do I keep on reading Ken Bruen's Jack Taylor novels--there seems to be another one coming out before I can even finish the current one, and they have gotten progressively darker. They're also very loosely constructed, and the most recent one I've read, Purgatory, is very loose indeed. Bruen has mixed his usual characters (the ones that have survived), a serial killer plot that is almost beside the point, a new girlfriend and her boss (both Americans), and lots and lots of pop-culture references. And though there's a lot of misery in the whole Taylor series, this one is indeed a purgatory. The quotes and other mentions of crime fiction have always been a part of the Taylor novels, but they reach a crescendo here (and Taylor, in his first-person narration--though not all of the book is in his voice, even begins to refer to past events in terms of Bruen's book titles, a metafictional gesture totally in keeping with Bruen's method). 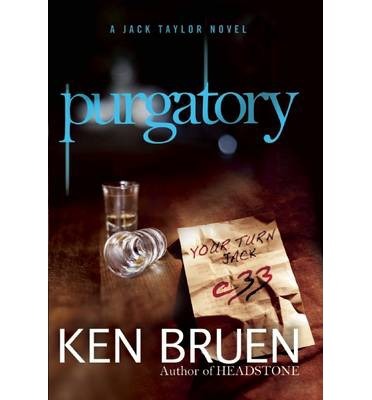 What's compelling is Bruen's voice (and Taylor's, when he's onstage). Though I really prefer the Brant books, as crime novels, thte Taylor books are the pinnacle of Bruen's offhand but bleakly poetic style. As I've said before, he reminds me a bit of the Anglo-American writer J.P. Donleavy (mostly forgotten now, I guess) in terms of the language and the pervading melancholy. But Bruen (and Taylor) are very much of this moment, in terms of popular culture, crime fiction, Irish history, and global politics.